Porto is a captivating city, which perfectly blends history, traditions and modern Portuguese culture. Set on an undulating landscape, Porto provides architectural wonders, a quaint old town, stunning vistas and beautiful beaches. Throw in its famed Port producing industry and it is easy to see why this charming city is fast becoming a top rated holiday destination. 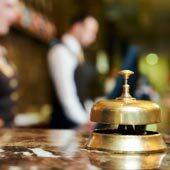 This guide will provide a flexible itinerary for a three-day tour of Porto, which includes; the best districts and sights in order to make the most of this captivating city. To get a traditional taste of Porto, it is recommended to spend the first day exploring the historic city centre and the charming Ribeiara district. 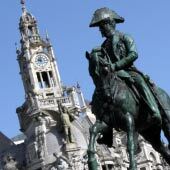 The main tourist office, based along Rua Clube dos Fenianos (on the west side of Porto City Hall), is a perfect spot to grab a map and start a day’s tour of Porto. Avenue of the Allies (Avenida Dos Aliados): This impressive boulevard is the monumental heart of Porto, which leads up to the Câmara Municipal do Porto (City hall) with its distinctive70m bell tower. The grandeur of the marble and granite buildings that line the Avenida Dos Aliados portrays a history which doesn’t actually exist, as the entire plaza was constructed in 1916. Clérigos Tower (Igreja E Torre Dos Clérigos): The quaint, baroque Clérigos Church and Tower is situated on the highest point of the old city and after climbing the 250 steps of the tower, visitors are rewarded with fantastic 360-degree panoramic view of the city. It is open daily 9:00-19:00 and has a €3 entrance fee. Lello bookshop (Livraria Lello): This Lavish bookshop is one of the oldest in Portugal and walking around this art nouveau building it is clear to see why this could have prompted the inspiration for the Hogwarts library and staircases. The ornate interior has transformed the shop into a major tourist attraction, with few visitors purchasing books, so now there is an entrance fee of €3. Porto Cathedral and Bishop’s Palace (Sé Do Porto): The highly fortified Porto Cathedral is the religious centre of Porto and the original church dates from 12th Century. The Cathedral is situated in the oldest district in Porto and the square surrounding it once served as the bustling trading centre. It is free to enter and open daily from 9:00-12:30 and then 14:30-18:00 in peak season (Off peak times may vary). Stock Exchange Palace (Palácio da Bolsa): The Neoclassical Palácio da Bolsa complex was built by Porto’s Commercial Association in 1830 to act as the city’s stock exchange and entice investors to the city. It is open from 9:00-18:30 in peak season (9:00-12:30 / 14:00- 17:30 in low season). Tours cost €7 per adult and €4 per child. Evening: Dine in Ribeiara The evening of the first day should be spent in Ribeira; one of the oldest districts situated on the northern bank of the Douro River. This is a delightful area of narrow, winding streets lined with restaurants and is a perfect place for dinner and a glass of Port. Vila Nova de Gaia city, situated on the southern banks of the Dourio River, is the renowned home of Port. Whilst the city is equally as picturesque as Porto, the real tourist highlight is taking one of the many Port tasting tours. Interestingly, Port production is still very much a part of the modern culture and the sweet drink is still matured and bottled in the vast cellars located on Avenue de Diogo Leite along the riverside. Visiting the cellars and Port tasting tours are surprisingly inexpensive and costs reflect the quantity and quality of the Ports tasted. 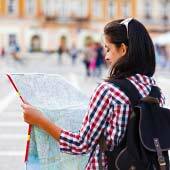 Tour prices start from €6.00 for two drinks of medium quality. Each of the Port house conducts tours in multiple languages. To get a real experience it is suggested to join a couple of the tours throughout the day. 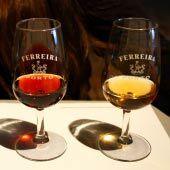 For visitors with time for only one tour, it is advisable to head to Ferreira Cellar; the only wholly owned Portuguese Port producer. Ferreira is located on Avenue Ramos Pinto and tours run daily from 10:00 – 12.30 and then from 14:00 to 20:00. 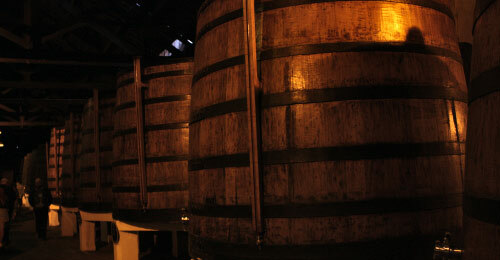 The tour costs €6.00 per adult and this includes; a 30-minute guided tour and a tasting of two Port wines at the end. 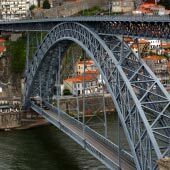 Ponte Luis I Bridge: Take a walk along this iconic bridge that connects Porto with Vila Nova de Gaia. This feat of engineering has stood since 1886 and was created by a partner of Gustave Eiffel. It is possible to cross the bridge at both levels, with the top level providing wonderful views of the city. Mosteiro da Serra do Pilar: Take the cable car (Teleferic de Gaia) that transports visitors from the banks of the Douro up to the elegant, whitewashed Mosteiro da Serra do Pilar. From this unique circular cloister there are unparalleled views across the Douro to the Ribeira and Porto landscape. The cable car station is located on Rue Piedade just off the main riverside Avenue de Diogo Leite. It costs €4.50 single ride and cars run daily from 10:00 to 20:00. Cruise the River Douro: There are many scenic boat cruises along the Douro River, which pass under the famous city bridges and allow unique vantage points of dramatic city landscape. 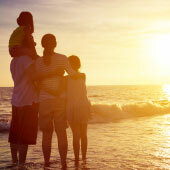 Prices start from €12.5 per adult and children are normally free. For the third day it is suggested to have a day trip to either one of the historic cities close to Porto or (if the weather is good) to visit a beautiful beach for a relaxing day. The two most fascinating historic cities close to Porto, are Braga or Guimarães while the best beach is the Praia de Espinho. 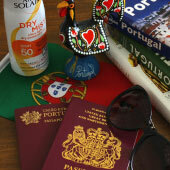 All three of these destinations can be travelled to by train services that depart from Sao Bento train station. Day trip to Guimarães - Guimarães is regarded as the ‘birth place of Portugal’ as it was the first capital city of Portugal during the 12th century, and was also the birth place of Portugal’s first king; Afonso Henriques. The city boasts a medieval castle, restored gothic palace, numerous pretty squares and a cable car ride to the top of Penha Hill. 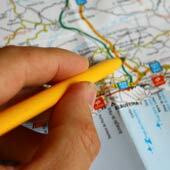 For a guide to a day trip to please click here. Day Trip to Braga - Braga is the religious centre of Portugal and within the compact historic centre are numerous ornate churches and beautiful baroque styled houses. Just outside of Braga is the wonderful Bom Jesus do Monte, a charming church that is situated on top of a hill and is reached via elaborate staircases, which represent the steps to heaven. The Bom Jesus do Monte is considered as the finest tourist attraction in the region surrounding Porto. 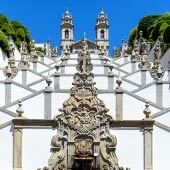 For a guide to a day trip to Braga please click here. Day trip to Espinho beach - Espinho is a popular beach resort that lies to the south of Porto and is a great location for a relaxing day on the beach. The town is situated on a 17km stretch of golden sands and, as it faces a westerly direction, provides waves that are suitable for surfing. 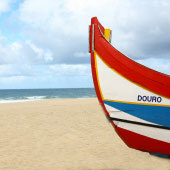 Espinho is a typical Portuguese beach resort with a charming town centre and a small fishing community; who moor their colourful fishing boats on the beach. In the centre of the town there is the largest casino in northern Portugal, as well as numerous great restaurants serving up the fresh fish. For more details about Espinho beach please click here.